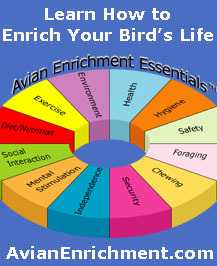 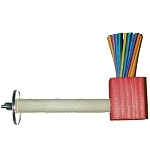 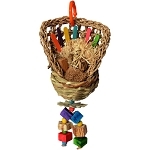 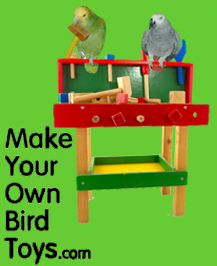 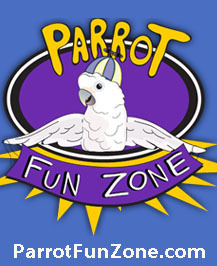 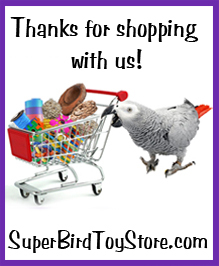 11 x 9 x 6.5"
The Tip Your Hat bird toy is an inverted basket that is loading with chewable fun. 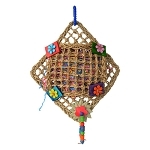 In the center is a large vine ball, stuffed with brightly colored crinkle shred and adorned by bamboo fingers, flower beads, and dangling pacifiers. 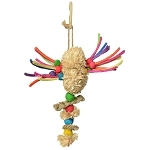 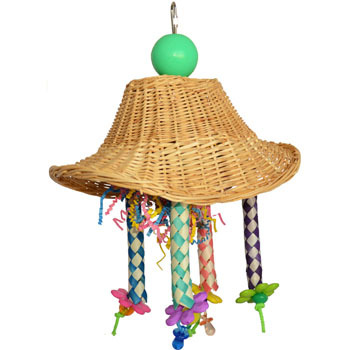 Many a bird will love hiding out under this canopy toy which offers an array of colors and textures to keep then stimulated.